I received an email from a man with whom I had a short but very nice relationship. Indeed, he was the first normal man, non abusive, with whom I started to build a story. His email was actually a reply to one I sent him. I was asking him for forgiveness because I left the relationship after a few months in an abrupt manner. I am aware that it was shocking to him and I deeply regret what I did. He wrote that he experienced lots of sadness, but also anger. 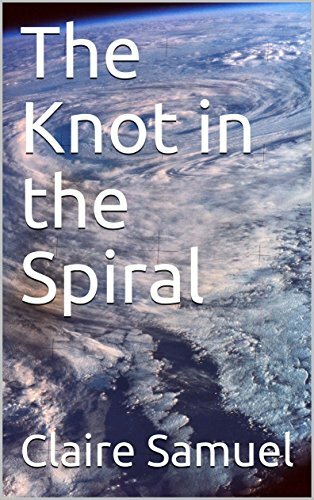 By reading The Knot in the Spiral, he discovered a past that he did not know about. I did not unveil my past to him because it does not define who I am. It was still the early stages of the relationship so I would have talked to him about what happened later. So his anger came from discovering that someone had hurt me so much in the past. He wrote to me that it was difficult for him to accept that. This is so weird. When I read his email, I felt I could see myself from the eyes of another person. I felt so much compassion for the woman I was, always trying to please others to the point of neglecting her own basic needs (like sleep). My friend, my sister, if you are alone like I am, I feel you and I understand you. I have been single for 8 years. However, my deep intuition is that I am entering a new time period, in which I will be able to build a relationship with a great man. For this to happen, I need first to convince myself that I deserve it.